I didn’t have any ideas for the weekly Photo Challenge this week. Waiting? 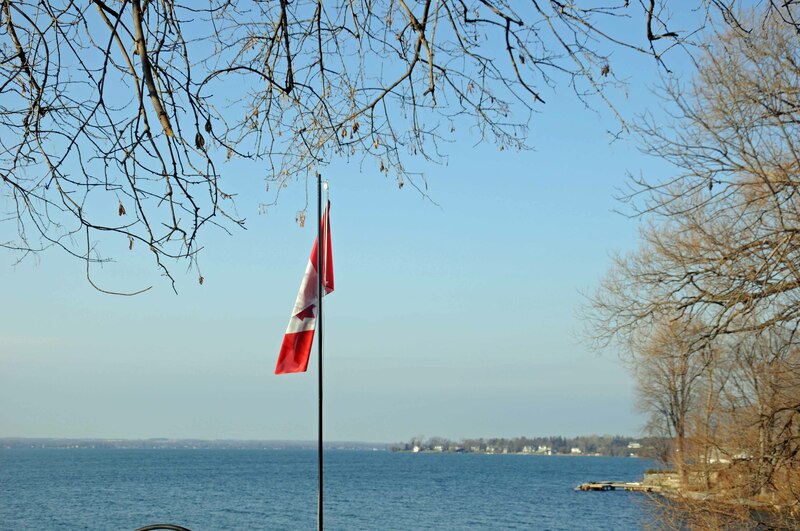 It was a brisk but sunny day and I decided to take my camera for a walk along the lake. The “waiting” challenge would have to wait. I stopped to take a photo and realized the old boathouse was waiting for repair. 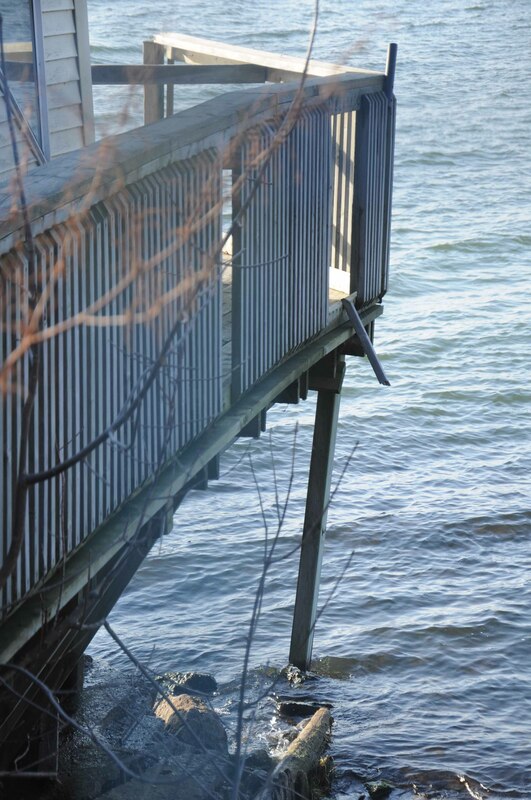 The railing was ready to fall and one of the supports had rotted through and now dangled dangerously above the water. I came across a swing, It looked so forlorn, gently swaying in the silence as it waited for the children to come. 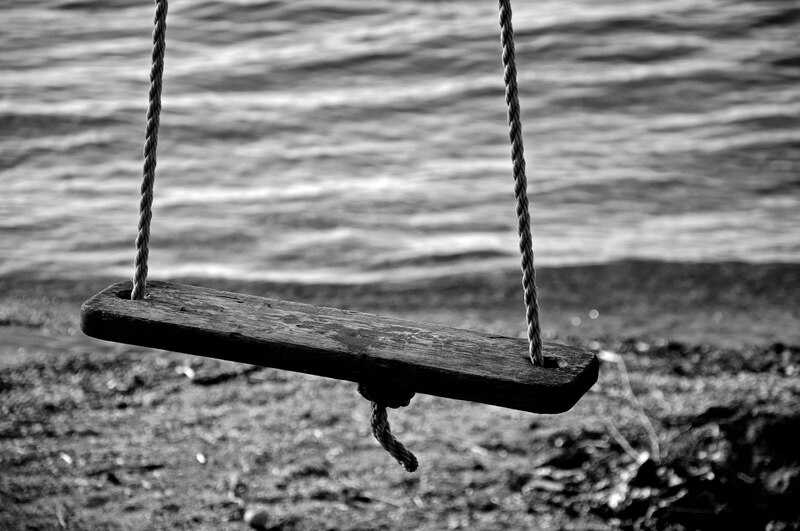 The swing looked so lonely, I knew it had to be black and white. I continued my walk . Just around the ben I found a couple of ducks. 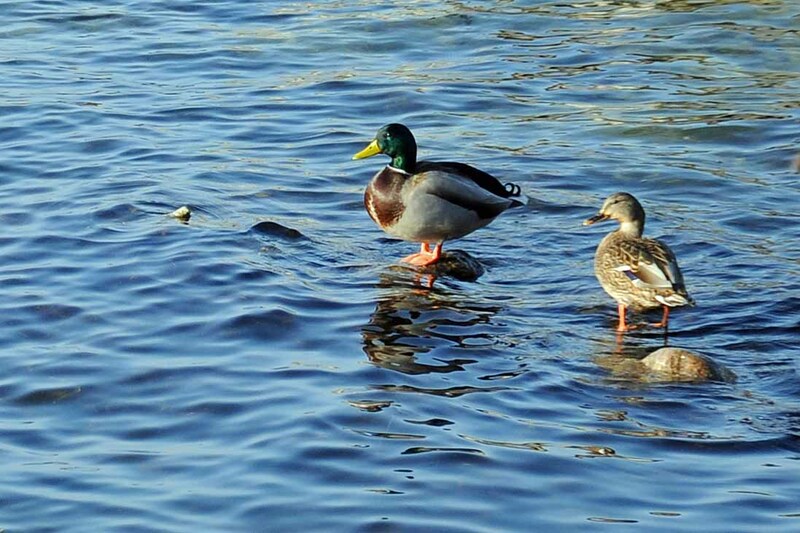 They were looking for food, waiting patiently for a fish to swim by. I passed a tree. 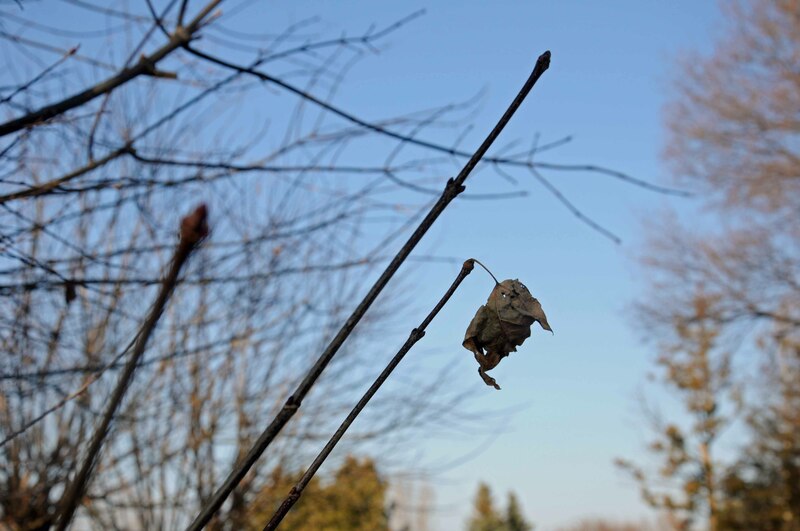 There was just one leaf left, waiting to fall. I am truly amazed at how there is so much waiting in this place. The flag hung limp from the flagpole. Waiting is what flags do best. They hang around day after day waiting for the wind, a slight breeze and it will happily flutter. Around the corner I found another sad sight. 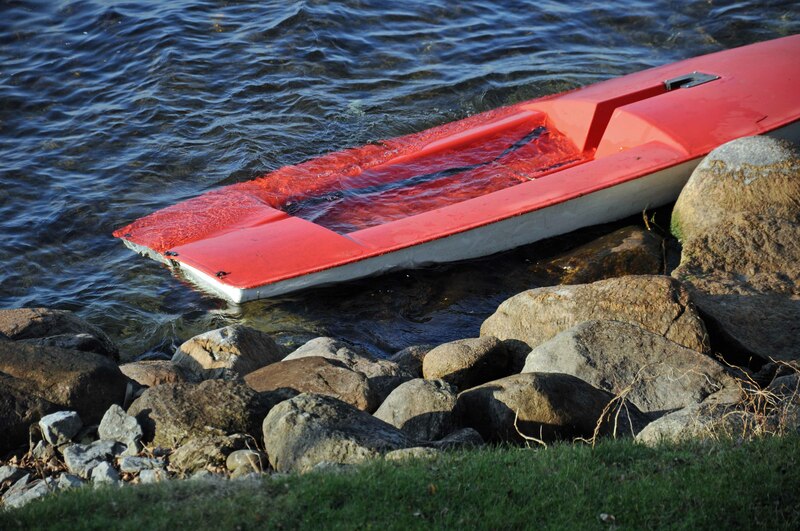 A lovely red boat lay at the shore, waiting for someone to rescue it, someone to care enough to bail out the water and pull him onto the shore, safe from the winter ice that will soon grip it and tear it apart. I sighed and carried on with my walk. Passing by a mailbox, I realized it too waited. Every day wondering if the mailman would come and place a bill or, better yet, a letter inside. Letters are scarce these days. Who takes the time to write? Email and phone calls are so much easier. 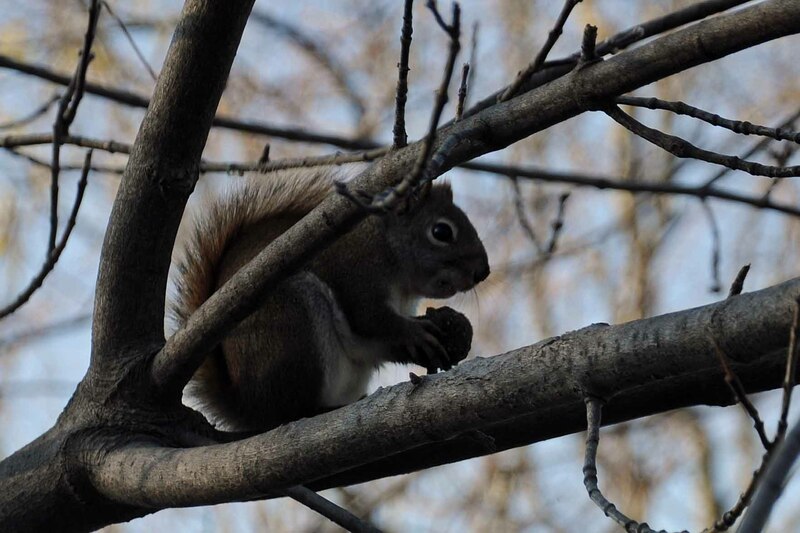 A squirrel was busy gathering nuts for the soon coming winter. He saw me and froze, waiting for me to leave so he could get back to work. I took a hint and headed for home. There is so much waiting, I couldn’t wait to get home to upload my photos and write this post. Thankyou for coming on my walk. I hope you enjoyed it as much as I did. This entry was posted in Weekly Photo Challenge and tagged Photography, postaweek2011, waiting, Weekly Photo Challenge. Bookmark the permalink. Reblogged this on John Nelson Pad. you have portrayed it so well! Your posts are always so wonderful and beautiful pictures too. Thanks for frequent encouraging comments. just wanted to show my appreciation through this Liebster award for you. Merry Christmas!! Those are some beautiful pictures for waiting theme. Letter box is best! Pingback: Weekly Photo Challenge: Waiting | Thinking aloud…. Never has my respect and admiration for someone grown as quickly and as spectacularly as it has with you. Your blog, your work and no doubt; you too, are, breathtakingly spectacular! This is why I nominated you for the Liebster Blog Award and why I’m pleased to present to you now. There’s no doubt about it; The Liebster Blog Award is the ‘Pulitzer’ for blogs with fewer than 200 followers; the winners are chosen by fellow bloggers who want to give a ‘thumbs up’ to the excellent work that can be found in the world of WordPress. 1. Give a shout out to the blogger who nominated you by linking back to their blog in your acceptance post. It’s the coolest award there is, and it’s well deserved! Those are lovely pictures, Maggie. Thanks for sharing them! Incredibly creative entry with lots of wonderful photos! 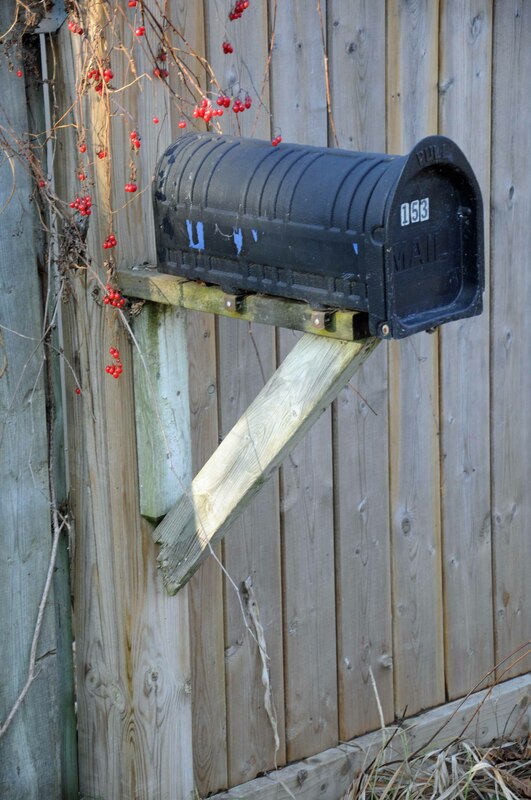 I like the waiting mailbox. That’s one I wouldn’t have thought of. That was a good day for a walk Maggie! I enjoyed reading your post, brilliant photos as well! I love all your examples of waiting. Nice pictures. I love the ducks and squirrel.Squirrels are such fast little creatures and he stopped for you. Excellent entry. You found so much while you were waiting for inspiration….. I love it when everyday items are interpreted in different ways by different people and all made possible by photographs. Maggie, this is brilliant! such a wonderful variety of interpretations of ‘waiting’! A great walk Maggie. It’s amazing how just one word can help us look at the world around us with different eyes. Wonderful photos. walking shows the beauty around us! Maggie, these are fabulous photos! Cool post Maggie and good walk with you. The little red boat breaks my heart 🙂 Maybe you could go back and rescue him! I see you have a flurry of snow! Maggie, that so much happens in the time of waiting. Thank you so much for such a pleasant stroll. The photos are lovely! Very entertaining! do ducks eat fish? Oh, I loved the walk and all the photos…my favorite was the one leaf waiting to fall and the next was the mailbox because I feel so sad that no one writes letters. a soulful journey with you around the lake, all that waiting, it is amazing, thanks for sharing! Amazing what we can find with a simple walk…thanks for taking us! Good take on the theme, Maggie. This post is fantastic Maggie, I was smiling all the way through it; your photographs and captions were perfect! A lot of waiting going on for sure!